The advent of agriculture some 12,000 changed human culture forever. Free from the stress of having to constantly scour the land in search for game and fruits, humans could now divide labour and massively expand their communities. Despite the domestication of plants and animals had a very practical purpose, it didn’t take humans too long for them to find out they could breed plants for aesthetic purposes. We don’t know who were the first to extensively use houseplants, but one of the first records suggests the Chinese used penjing trees and plants of different varieties in interior spaces as ornamental features as early as 4,000 years ago. 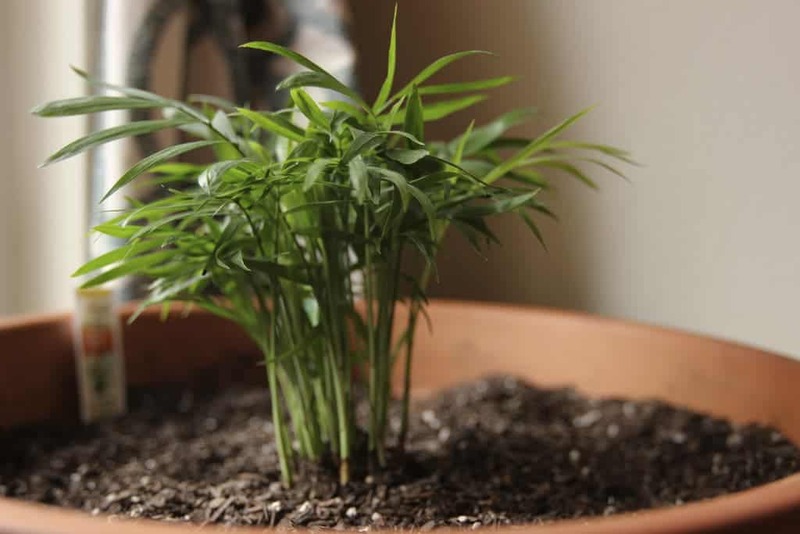 These indoor plants were considered a sign of wealth and prosperity and gave many the chance to practice their gardening skills because the plants would grow and flourish all year round. Perhaps the most famous example of both outdoor and indoor gardening dates from the time of Emperor Nebuchadnezzar who in 610 B.C.E. completed The Hanging Gardens of Babylon, one of the seven wonders of the ancient world. 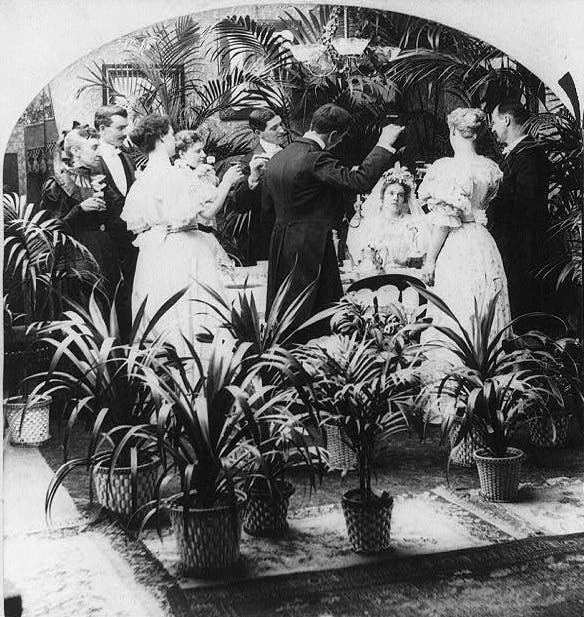 The widespread use of houseplants that we see today, however, can be traced back to Victorian England in the late 1800s. While the sumptuous outdoor British gardens kept their gates closed until springtime, many Brits began growing a wide variety of cheery and colourful plants. The included English ivy, dracaenas, and Chinese evergreens to name a few. Things have moved on, thankfully, and the range of indoor plants available now has arguably never been greater. There’s a growing body of evidence that house plants help improve indoor quality not only by producing oxygen but also by absorbing various pollutants like allergy-irritating dust and volatile organic compounds (VOCs). In today’s modern household, the latter quality is the most desirable out of your potted plants because VOCs have never been more abundant. These are produced or released by the household’s walls, paints, wood preservatives, cleansers, and disinfectants, glues and adhesives, and other chemical products. “We all know, but most of the time we completely forget, that air is the most consumed material by humans,” said Vadoud Niri, a chemist at the State University of New York at Oswego, who is one of the authors of an important study that assessed the performance of various potted plants as VOC absorbers. Since the 1980s, NASA has been researching houseplants for the purpose of purifying space stations. Since then, various studies have come up with a list of particularly able plants which have a higher than average VOC filtering ability. Here are just a few. 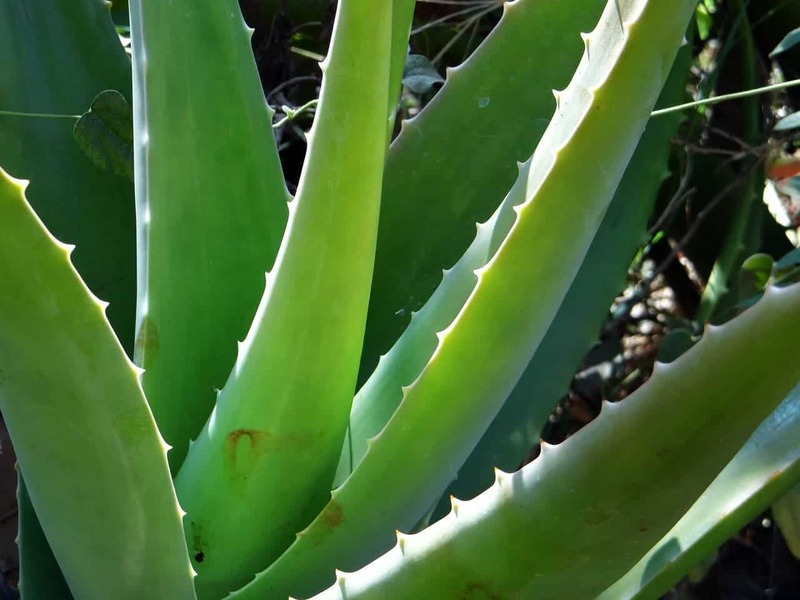 Aloe vera, a common household plant, does more than provide a home decor boost. Research suggests its a great absorber of formaldehyde and benzene, which are compounds commonly released by cleaning products and paints. The plant also has various therapeutic properties and has been used as a medicinal plant for at least 6,000 years. It’s used to treat skin conditions, accelerate healing of wounds, and even as a laxative. 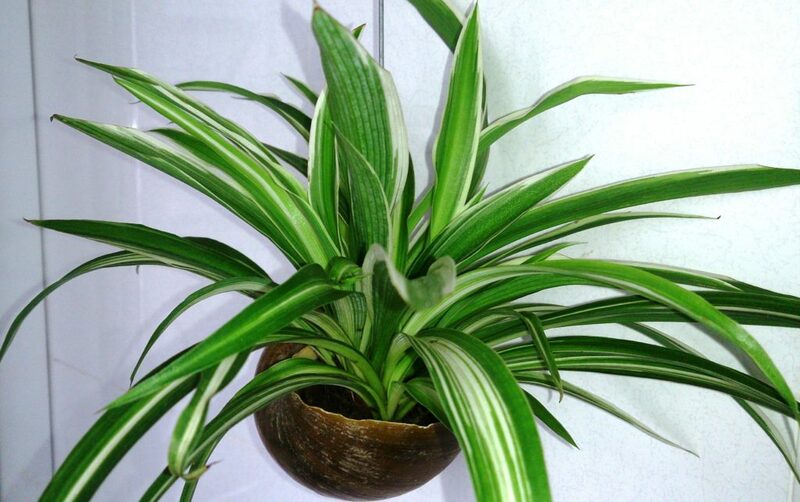 The spider plant (Chlorophytum comosum) likes to chow on benzene, formaldehyde, carbon monoxide and xylene, the latter being an air pollutant that clogs the atmosphere in leather, rubber, and printing shops. Spider plants are very easy to grow, prefer dry soil and thrive in cooler homes. 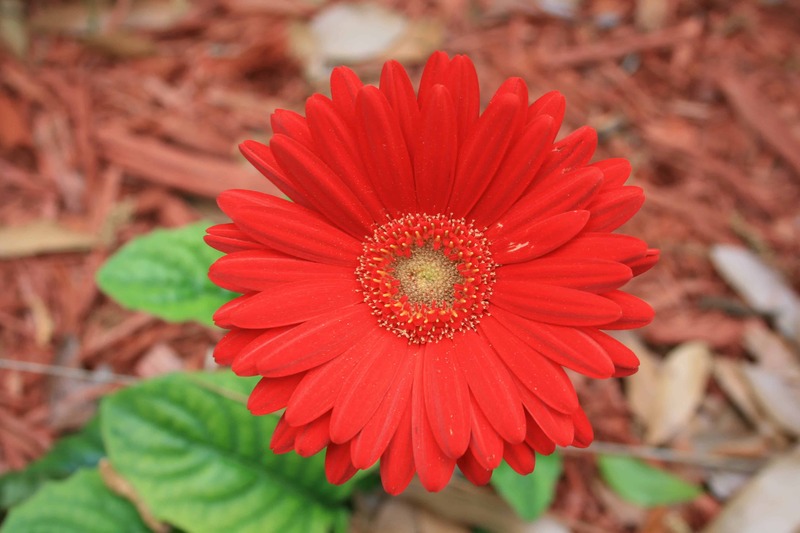 Also known as Transvaal daisy, Gerbera daisy (Gerbera jamesonii), is a daisy-like bloomer that comes in a variety of jewel tones. Besides splashing your home with colour, this daisy is very effective against trichloroethylene, which you might find on your dry cleaned clothes. This makes the houseplant great for bedrooms or laundries. 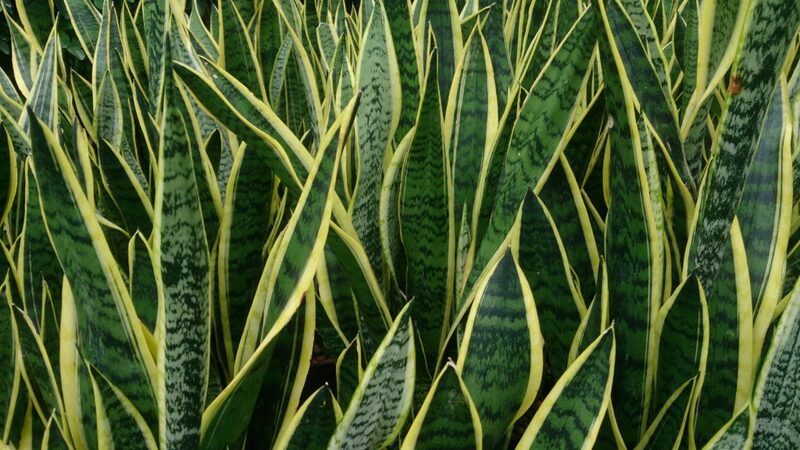 The Snake plant (Sansevieria Trifasciata), also hilariously known as the Mother-in-Law’s tongue, is one of the best formaldehyde filters, commonly found in cleaning and personal care products. It thrives in low light conditions so this makes it an ideal bathroom potted plant. If you’re particularly bad with plants, like I am, this may be your soul plant. It can go on for weeks without having to be watered. Dracaena (Dracaena spp.) is grown for its dramatic foliage and carefree nature. 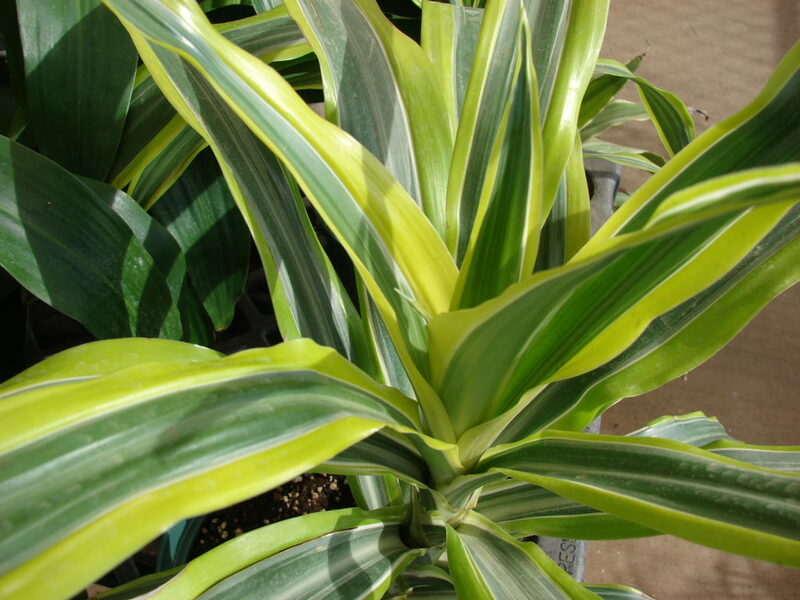 Besides freshing up your home, dracaena is an effective filter against xylene, trichloroethylene and formaldehyde. But if you’re after air quality, look for the red-edged variety because there are many kinds of dracaena. Look for purple-red edges on ribbon-like leaves. Native to Mexico and Central America, this dwarf plant doesn’t grow taller than five feet. It loves bright light and humidity, but also benzene and trichloroethylene. 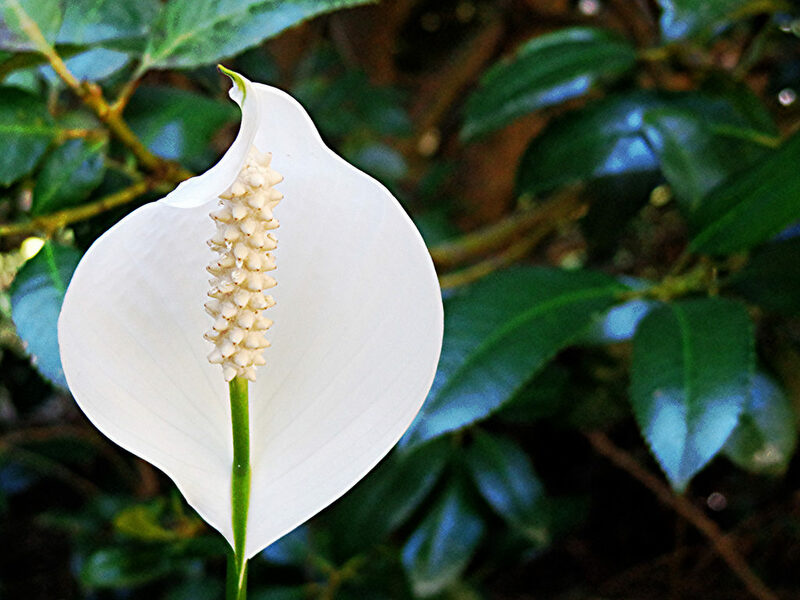 Perhaps the most beautiful VOC filter you’ll find on this list, the peace lily (spathiphyllum) topped NASA’s list for air quality proving effective at absorbing all three main VOC compounds — formaldehyde, benzene and trichloroethylene.